In today’s economy, companies that stay in place fall behind. Businesses that fail to decrease their dependence on legacy infrastructure risk stagnation and losing ground to competitors. Thankfully, advances in virtualization and emerging cloud technologies can deliver the agility that today’s IT organizations need to compete, but only if selected and deployed wisely. 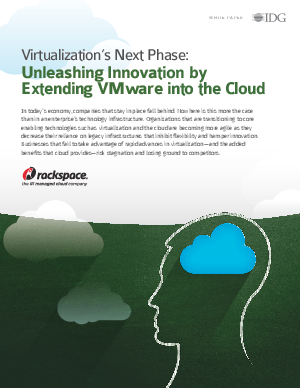 Learn how you can extend your existing virtualization environment into the cloud to maximize the benefits of both, and get some advice on how to get started in paving the way toward an effective and efficient outcome.